The New Cosmos of Photography is Canon’s cultural support project to discover, nurture, and support new photographers pursuing new possibilities in creative photographic expression. The annual contest, launched in 1991, has been open to the public regardless of the age or nationality of the contestant or the theme, the number, or format of entered works. 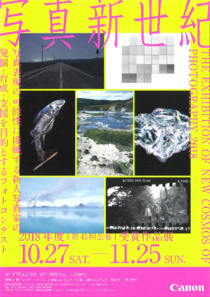 As such, the contest encourages the creative activities that push the boundaries of photography’s potential and systematically assists and nurtures award winners by means of exhibitions and published collections of their winning works as well as publicity on the New Cosmos of Photography website.